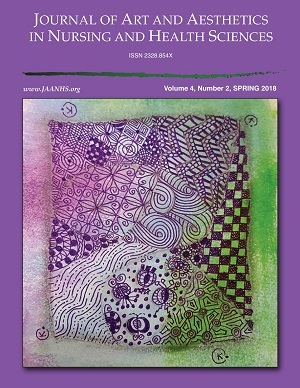 Welcome to the home page of the Journal of Art and Aesthetics in Nursing and Health Sciences! The Journal is a multi-media forum dedicated to sharing exquisite expressions of caring by nurses, physicians, social workers, and all persons across the horizon of health care disciplines. We invite you to browse our website to learn more about the Journal, and then to consider submitting your own aesthetic creation.